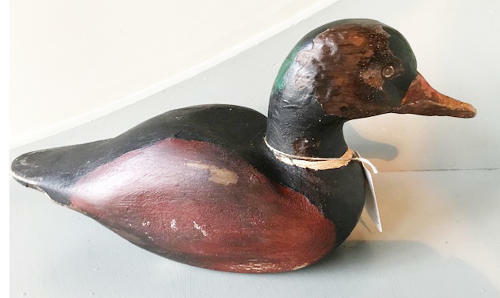 Antique Duck Decoy in original worn paint and slight wear to beak. Original 'wood screw' eyes. good decorative piece.